$25 Kmart item is flying off the shelves. 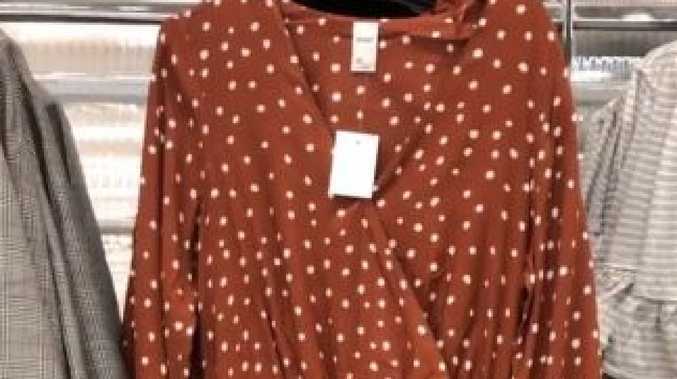 Kmart shoppers do and they're officially losing it over an orange polka-dot dress, that costs just $25. 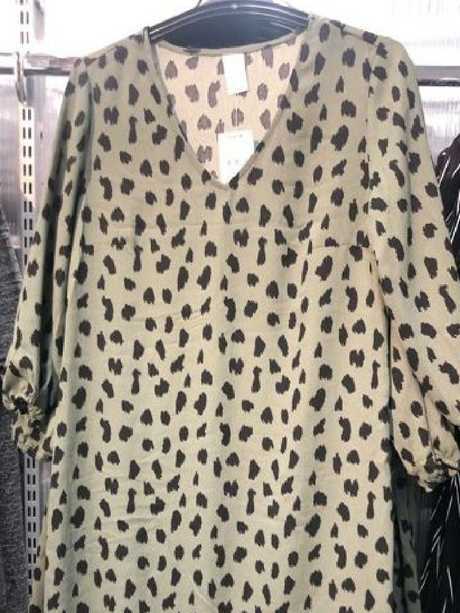 The cheap and cheerful outfit has just been launched in stores and already it's causing chaos among savvy fashion fans. "I can see this $25 @kmartaus frock flying off the rack," the 33-year-old blogger wrote. "Feels fab, stretchy waist and breastfeeding friendly - what's not to love?" She added that she'd styled the dress with a pair of the store's $8 white pumps and that it was a "generous fit". 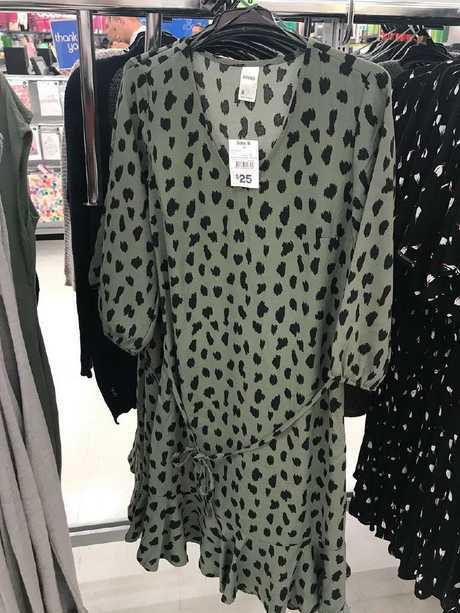 Kmart Bargains also shared the cute summer dress, with the page owner Aimee revealing she couldn't resist buying one after spotting the new arrival in her local store. "New items spotted in store. Two out of three of those dresses may have ended up coming home with me," she wrote. While Kmart Queen also said she "loved" the easy-to-wear dress, calling the stores new line pure "goodness". 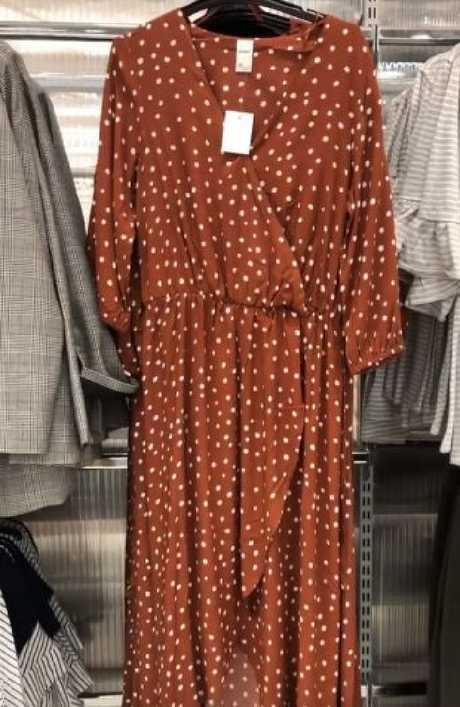 People are losing it over this floaty wrap dress. "I want this dress!" one excited user wrote. "I ADORE this frock but it is sold out online and I am yet to find it in store," another said. "Omg as if this is Kmart!!!" someone else mused. There’s also a green dress that people are flocking to buy. It's not the only dress that has people excited, with a green frilly number with a tie that cinches you in at the waist also being flagged as a must-have by fan account Kmart Bargains. "They won't stay long at all! I was so happy to snag one," the WA-based blogger wrote. What do you think of Kmart's new fashion range? 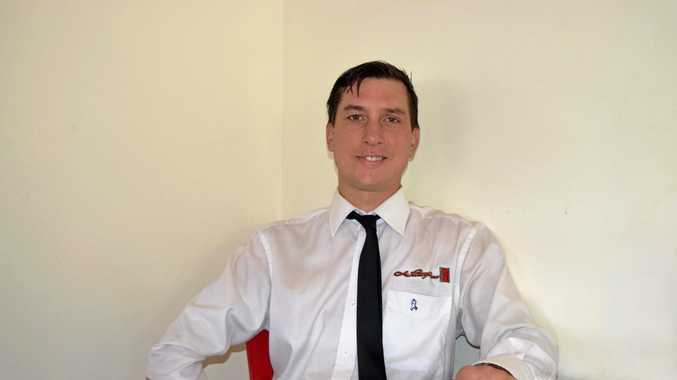 Are you a fan of their trendy designs or do you think they're not worth the cash. Let us know below. Just like the polka dot one, it is just $25 and very flattering.